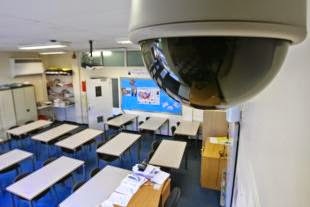 Britain’s schools extensively have CCTV but never before have schools broadcast real time images from classrooms. Schools using this technology are thought to be the first to do so globally. The scenario allows parent and carers unprecedented visual and audio access to their children in school, watching every moment of their school life. Children’s learning, socialising and recreation time all broadcast live to parents ‘smart’ devices, every minute of the school day. But it is not just their children that are available to watch; it is everyone else’s children too. “…any proposal to use technologies which allow potentially vulnerable youngsters to be viewed by a wider audience in what should be a safe and confident learning environment needs very careful consideration. Imagine a scenario where a camera was situated so parents could see the comings and goings of children to the school’s nurse, what if a parent sees a friend’s child take regular visits to the school nurse? Does that parent then tell the other parent? – apart from the fact that medical information is classed as ‘sensitive data’ under the Data Protection Act and the school has a responsibility to keep that information confidential for the child. How would this constant monitoring affect relationships between students, curbed perhaps because of the student’s knowledge of other parents snooping on their children, their friends? What if little Jonny is ill, off school, and logs in on his parent’s smart device to see what is happening in school? In the wrong hands this IPTV footage would be dynamite ammunition for a bully. Recorded images and audio could potentially be put on social media and a child’s life be made a misery because of it. How could anyone possibly quantify the psychological damage done to a child by this? Beaming live video off a school site in real time, to potentially hundreds of people, brings up many areas for consideration, least of all the complete invasion of privacy to the children and staff. The glaringly obvious question that springs to mind is, who is checking exactly who the persons are watching these images? Adults cannot step foot into a classroom without the appropriate safety checks. Access to children in school is had only by accredited adults. This livestream system would give not just general information about children, when they arrive/leave school and what classes they are in, but potentially sensitive information about a child to unknown third parties in real time. Where are these safety checks for ‘school livestream’ viewers? To find out which schools were livestreaming images of children off site, so a complaint could be made to the ICO, a Freedom of Information request was sent to all secondary schools in the local authorities where the four schools were – Liverpool, Waltham Forrest and Herefordshire; a total of 61 schools. The Freedom of Information request was sent September 2014. The response rate to the Freedom of Information requests was dismal. Schools clearly had little grasp of their obligations under the Freedom of Information Act 2000 (FOIA) and it was not until March 2015, with assistance from the ICO, when finally all schools in those local authorities responded to the request. A six month process that should have taken 20 working days under the Act. Interestingly not one secondary school in any of the local authorities answered affirmative to trialling the livestream IPTV technology. A 100% denial that any secondary school was using the Watchbot technology. The BBC Radio Hereford and Worcester radio interview done with Richard Hillgrove from Watchbot, featured a secondary school head teacher and pupils, which certainly lead listeners to believe it was being trialled in secondary schools, as did the Telegraph article and an article by Wired, simply by the nature of the reasoning why IPTV cameras had been installed – drug abuse. Good news, it seems the secondary schools in these areas are sufficiently drug aware to not need this technology to monitor drug taking and drug deals. Which means, as responses under FOIA have to be robust as those given in a court of law, that this technology must be in primary schools. If this is the case, then not only is it alarming that images and audio of primary age children are being livestreamed from classrooms and playgrounds in real time to ‘smart’ devices, but more concerning is that primary school children in these areas have a drug problem serious enough to seemingly warrant vigilant parents policing school life, minute by minute, by having access to these classroom live feeds. So there are three scenarios here: a) that four secondary schools are lying under the Freedom of Information Act, b) Watchbot livestream IPTV cameras are being used in four primary schools, c) the article in the Telegraph is simply fabricated, perhaps a ploy by Watchbot for some free publicity. As there are 266 primary schools in the four local authorities cited in the Telegraph article it will be a large undertaking to use the Freedom of Information Act to obtain information on this, especially given the poor response by the FOIR on this to secondary schools in those areas. In order to further clarify which schools, secondary or primary, are using these livestream IPTV the Department of Education have been sent a freedom of information request, which is due back on the 16th April 2015. When new technologies emerge in schools, such as biometrics and tagging children with radio frequency identification (RFID) devices, the UK Department of Education takes a step back, allowing industry to sell such technologies to Head Teachers, in this case supposedly for children’s safety to tackle drug use. Biometrics for buying food was to stem bullying for money, fingerprint registration for library use was to improve reading habits, RFID tagging children was to improve attendance and for improved safety in school. In reality, it is plain and simply mass surveillance of our children in education to gather data. Technology cannot stop drug use, improve reading habits or stop bullying. Money spent on educating children, empowering them with knowledge, being able to make the right decision in a tough scenario is what our children would benefit most from. As the Information Commissioner’s Office states, schools should be a “safe and confident learning environment”. 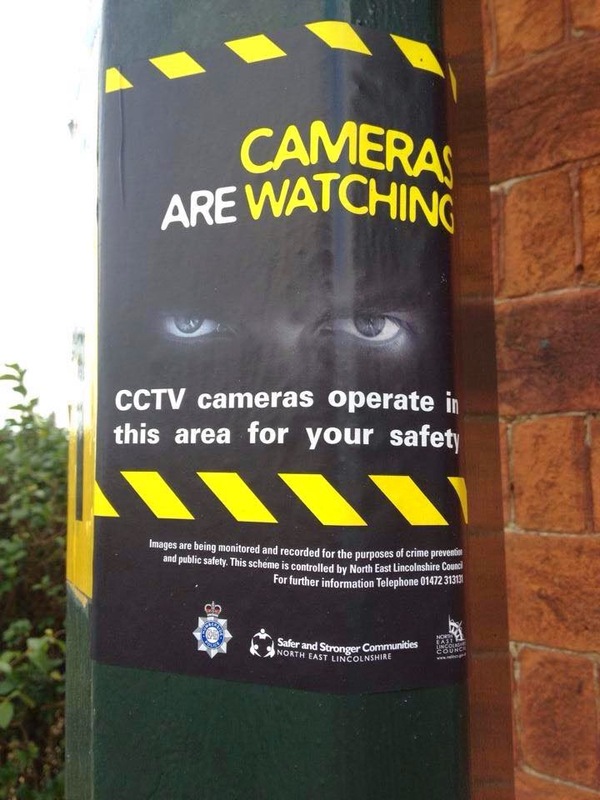 Mass surveillance of school children, available randomly in real time to the general public without any consideration to privacy, has to be wrong. It softens them to being surveilled, leading the next generation into a world where privacy is non existent. Eventually the schools using this IPTV will be found and a complaint to the ICO will ensue.